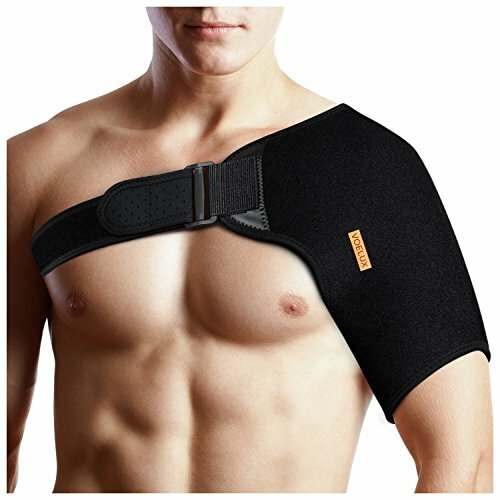 Tresalto adjustable neoprene shoulder brace provides maximum comfort & pain relief for rotator cuff injuries, shoulder dislocation, labrum tear, bursitis etc. Soft lightwieght neoprene delivers targeted compression to your shoulder and arm. Easy to adjust for the perfect fit for small to plus size frames- adapts to chest measurements from 31"- 51", and arm circumference from 9"-16". Our products are made from only the highest quality medical grade materials, ensuring years of use- GUARANTEED! Speed up your recovery, click "Add to Cart" above and order today! No hassle return policy! Lifetime satistfaction guaranteed, or your money back! If you have any questions about this product by Tresalto, contact us by completing and submitting the form below. If you are looking for a specif part number, please include it with your message.